Living in San Diego, we have a very convenient international airport which has a pretty good flight selection. We also have LAX, which sometimes has better prices and non-stop flights that we don’t have, including flights to our neighbor to the south, Mexico. But San Diegans, and Southern Californians, have another choice -- the Tijuana Airport. 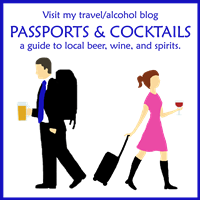 It may sound difficult to cross an international border to catch a flight, but, surprisingly, it is super easy with the Tijuana airport bridge, the Cross Border Xpress, and possibly faster than flying out of the San Diego airport. 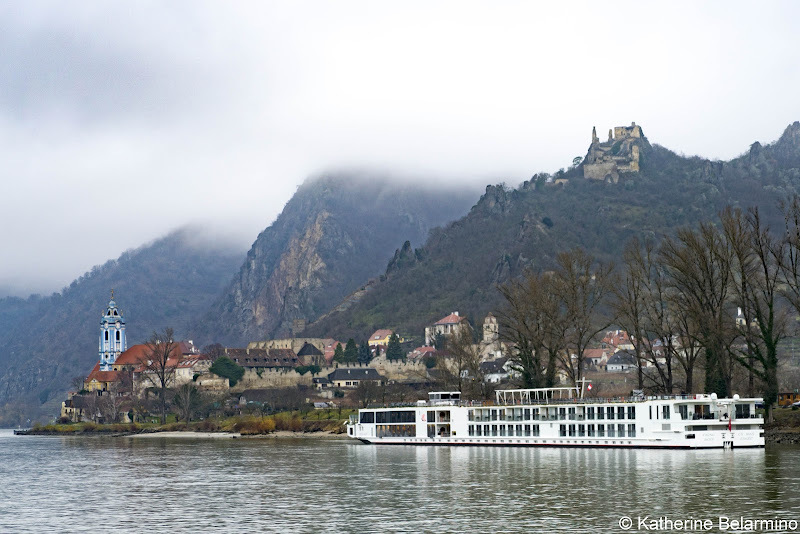 And, with airlines like Volaris, there’s a whole world of destinations available with super low airfares, many of which are reachable with a non-stop flight. There was a lot of buzz when the CBX Tijuana airport bridge was being built. Before that, flying out of the Tijuana airport for San Diegans would have been a game of Russian roulette, dependent on the amount of time the border crossing would take, plus there would be taxi fare once the border was crossed. Even more concerning was how long it would take to come back across the border into the United States. For a reasonable price, CBX was going to provide a quick and easy enclosed skywalk bridge over the US-Mexican border straight into the Tijuana airport. 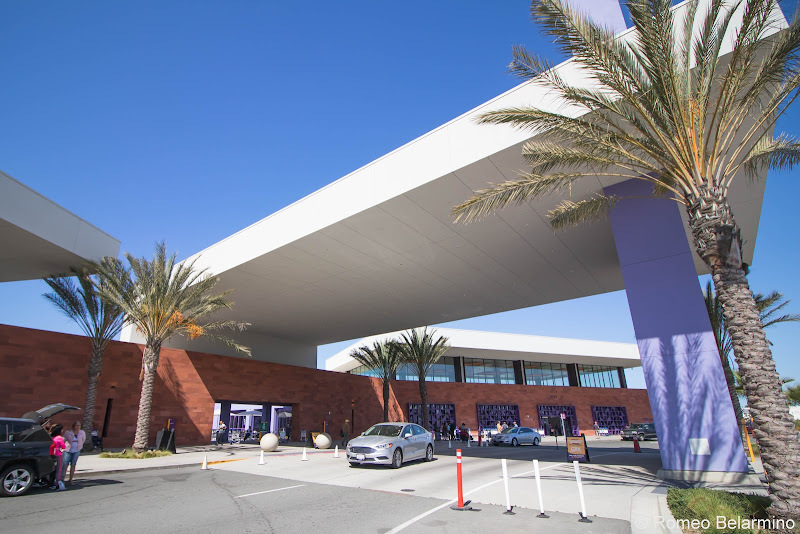 The CBX airport border crossing has now been open for two years, but some are still too nervous to take the leap and cross the Tijuana airport bridge to fly out of the Tijuana airport. Is it really a time-saver? Could it actually take a really long time just to cross before even getting to the airport and checking bags and going through security? 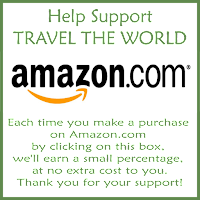 When researching flights for our trip to La Paz, Mexico, I found that flights out of San Diego were not only expensive, they also had two or three stops, meaning a whole lot of travel time to travel a relatively short distance. But when I checked into fights out of Tijuana with Volaris Airlines, I found flights for half the price, and non-stop too. 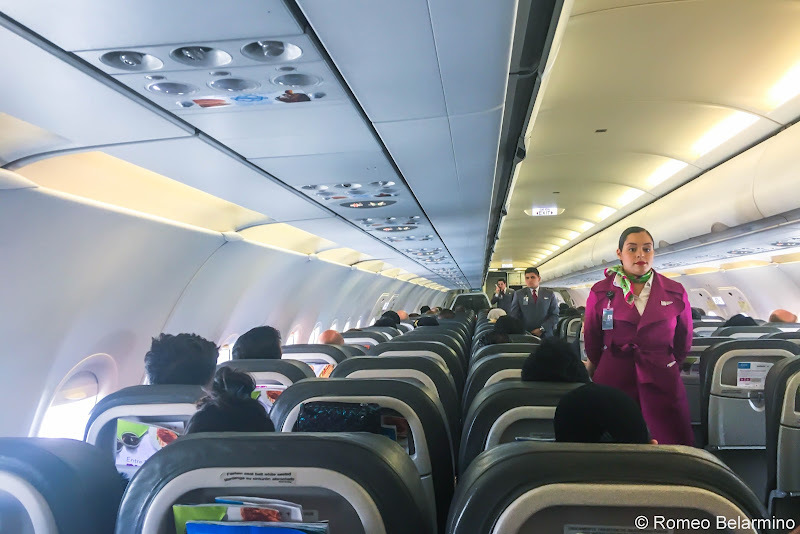 The Volaris non-stop flight from Tijuana to La Paz is just under two hours, a huge time savings compared to the flights with layovers or the option of flying to Cabo and then driving for two hours. It was time to try flying out of the Tijuana airport. The first test was the commute to the airport. We live 10 miles south of downtown San Diego. The commute to the San Diego airport is about 20 minutes. But as soon as you get off the freeway, there is usually a backup of traffic to the airport, and it can get pretty crowded when someone is dropping you off at one of the terminals, and there’s usually a security person telling you to move if you stop for more than 30 seconds. Don’t get me wrong, I love our airport and it’s one of the easier ones. Driving to the CBX border crossing was a breeze. Once off the freeway the roads are a little bumpier and the worse for wear, but there was no traffic and when we arrived at the drop-off and pick-up zone, it was easy to pull up to the curb and we didn’t have to rush to get all our stuff out of the car. So far so good. There are a few different ways to purchase CBX tickets. CBX tickets can be purchased at the CBX crossing. When purchasing airfare through Volaris, they can also be purchased through the airline at the same time as air tickets. The easiest and cheapest way is to purchase them ahead of time through the CBX website. 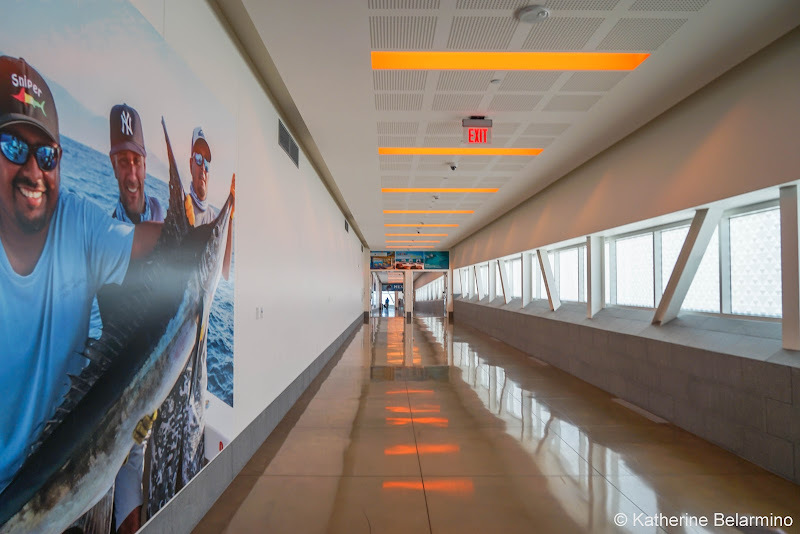 The steps for crossing the Tijuana airport bridge are quick and easy. Upon entering the building, we filled out our immigration forms. 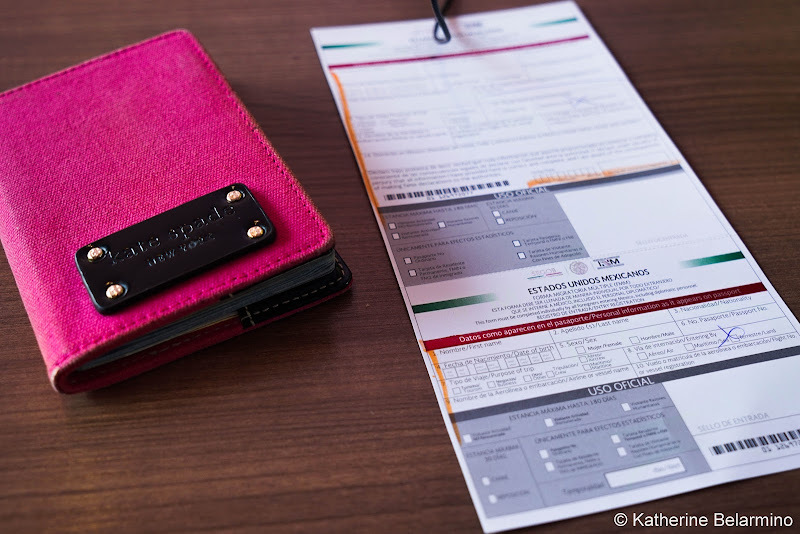 You can save even more time by filling them out and printing them out ahead of time online. With those in hand, along with our passports, Volaris airline tickets, and CBX tickets, we entered the CBX crossing and took the walk across the border via the CBX sky bridge. A total of 30 minutes passed from filling out the immigration forms to arriving at the gate for our flight. During that short 30 minutes, we crossed the Tijuana airport bridge, checked our luggage in the Tijuana airport at the Volaris desk, and passed through security. We also used the restroom and stopped a few times to take pictures. That is probably commensurate to the amount of time it would take at the San Diego airport from getting in the baggage drop line to arriving at the gate. There were more benefits of flying out of the Tijuana airport. There was no wait to go through security, we didn’t have to take our shoes off, and we didn’t have to take out all of our electronics. Thank goodness, because we had two bags filled with multiple cameras, lenses, a drone, and tablets. The return was even faster, and that’s the real test since we had to pass through customs. Based on my text messages with my sister, exactly 23 minutes passed between when I texted her that we had landed (and we were still on the plane waiting for it to empty) to when I texted her that we were at the Cross Border Xpress curb. 23 minutes to deplane, pick-up luggage at baggage claim, cross the Tijuana airport bridge back into the United States, and pass through customs. It is doubtful that it would have been that quick at the San Diego airport. It would never be that quick at LAX. 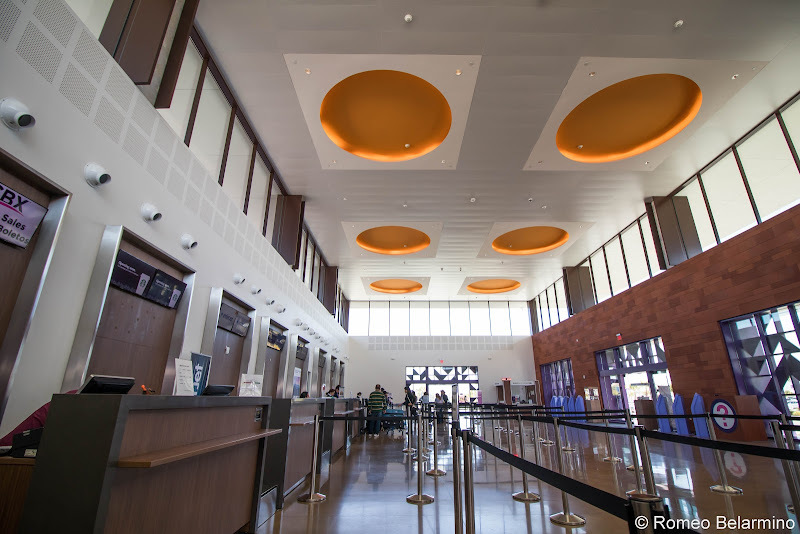 Speed and ease is one reason to fly from the Tijuana airport. Another is price. 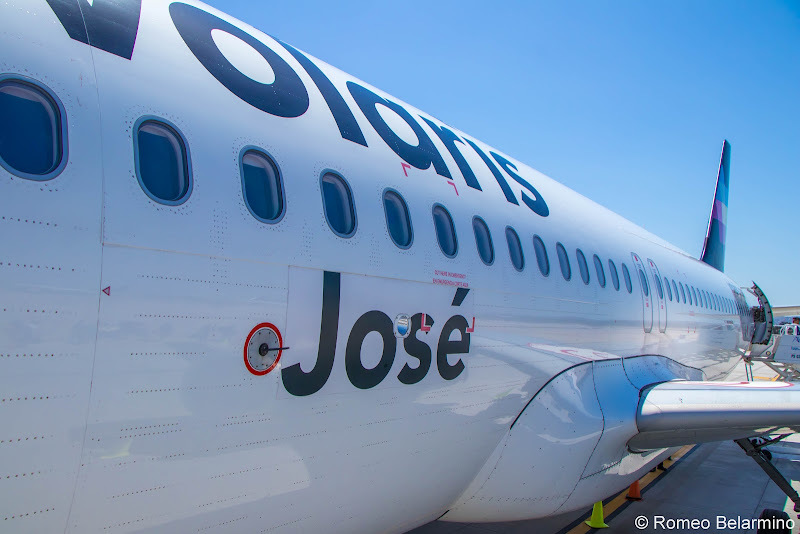 Volaris is one of the airlines that flies from the Tijuana airport. Volaris is a discount airline which services approximately 40 destinations in Mexico and also flies out of some airports in the United States, including LAX. Because Volaris targets people who have never flown before and can only gain their business if their flights are cheaper than bus fare, Volaris offers very reasonable airfares. Volaris’ fares have actually decreased as time has passed because their focus is making travel possible for more people. They also have five hubs in Mexico: Tijuana, Mexico City, Guadalajara, Monterrey, and Cancun, so not all connections have to go through Mexico City. As Volaris is a discount airline, it comes with discount airline features. Choosing seats ahead of time costs extra. So does carryon and checked luggage. However, if you pay for a heavier carryon, it also means you’ll get on the plane earlier. Legroom is minimal, which is fine for shorter flights, but cross your fingers the person in front of you doesn’t decide to recline. There are some seats with extra legroom available for an additional cost. During our two-hour flight, cups of water were distributed while other drinks and food were available for purchase. Our flight had no onboard entertainment. These are the sacrifices one makes in exchange for deeply discounted airfares. 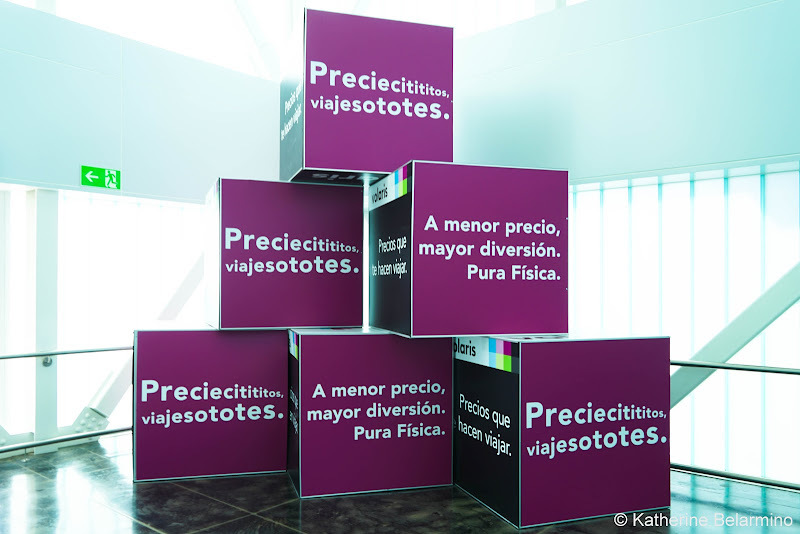 Volaris has a monthly subscription program called v.club which provides lower fares, exclusive promotions, and last-minute deals. Volaris also holds a contest every year to name planes after customers, and those customers get free flights for a year for themselves and one companion. Volaris recently signed a codeshare agreement with Frontier Airlines, which means they’ll be able to provide even more routes. Volaris isn’t the only airline flying from the Tijuana airport. 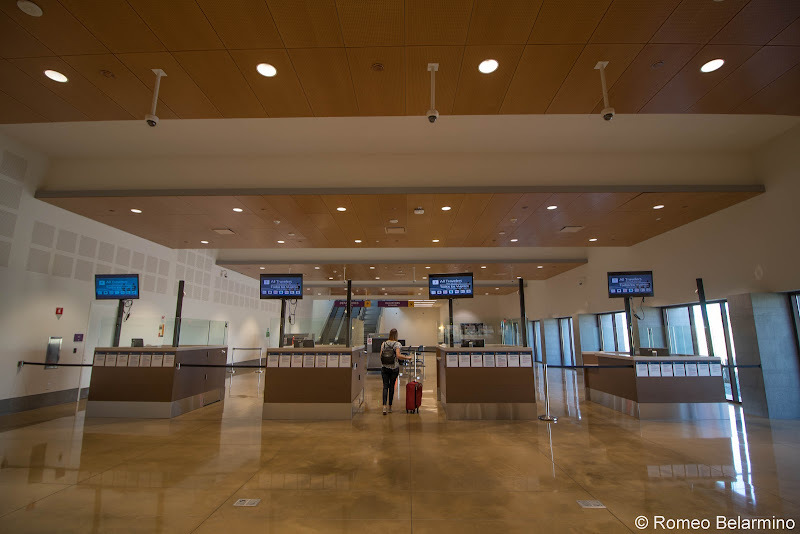 The airport is also serviced by Aeromexico, Hainan Airlines which provides non-stop flights to China, and Calafia Airlines which has nonstop flights to Loreto. 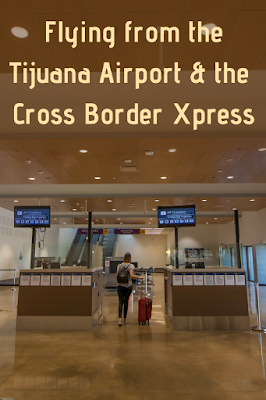 Just in case you’re planning a Tijuana taco run, passengers crossing the Tijuana airport bridge can leave the airport before an outbound flight, but they can’t leave the Tijuana airport after a return flight if crossing via the Cross Border Xpress. 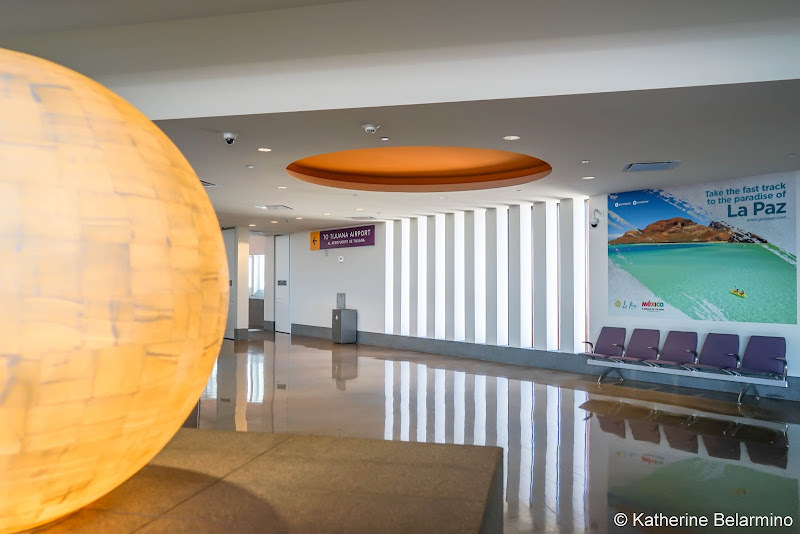 We received a lot of questions about flying from the Tijuana airport both before and after our trip because people are very curious and interested, but also a little unsure. 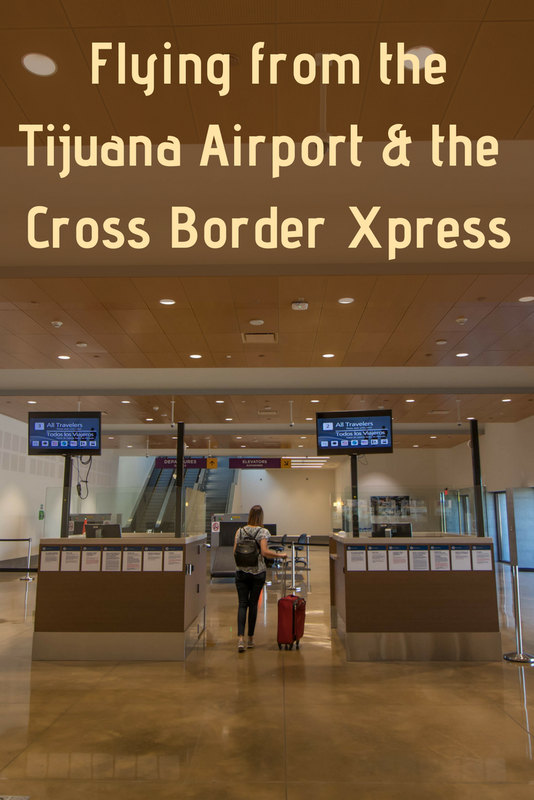 We were unsure at first too, but after our first experience of using the Cross Border Xpress to fly out of the Tijuana airport with Volaris, we are sure we will be doing it again. Thank you to Volaris and the Cross Border Xpress for hosting our flights and crossings and making this article possible. As always, all opinions are our own.